Not sure what size storage unit you need? Our space estimator provides a rough idea of what you can fit into our units. 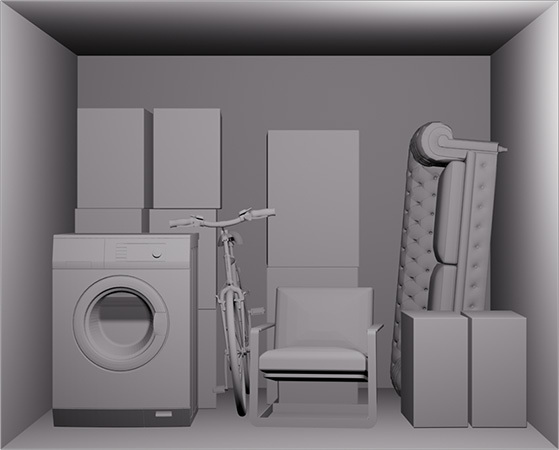 You can use our space estimator to get a rough idea what storage space you need. All of the images are for illustration purposes only, and shouldn't be taken to be exact representations. If you're still unsure, you can always get in touch and ask us. What can you fit in a 50 square feet locker?